Diving into a swimming pool is way better than hitting the gym everyday – there’s less sweat, more water, and a promise of fun. If those are not reasons enough for you to make up your mind, the health benefits of swimming should convince you! Swimming is an essential life skill that can help you at critical moments – especially when you’re the only survivor of a shipwreck or when your rowdy colleagues decide to throw you into the pool just for kicks. But boisterous colleagues apart, you can also take up swimming from a fitness perspective, as swimming is not too harsh on your body, but the benefits of swimming still help you get in shape. Don’t believe us? Take a look at champion swimmer Michael Phelps below. We rest our case. Improved muscular strength is one of the primary benefits of swimming. Swimming positively affects your circulatory system, immune system, and muscular system, and has several key benefits. Ever heard of resistance exercises? These are exercises that people follow to build their muscles and increase their muscular strength. Swimming is a resistance exercise purely because it involves propelling yourself through water, which is much denser than air (almost 12 times denser). Swimming scores heavily over running and jogging as it involves more effort, leading to stronger muscles and bones. Over a period of time, swimming can also tone the muscles in your body, helping you maintain a chiseled figure. A study conducted by the American Heart Association has shown that women who swim close to 30 minutes every day are 30-40% less likely to be affected by coronary heart disease. Swimming is good for the heart because it’s an aerobic exercise and like all such exercises, it strengthens the heart. This way, the heart becomes larger and its pumping action is more refined, leading to better blood circulation. 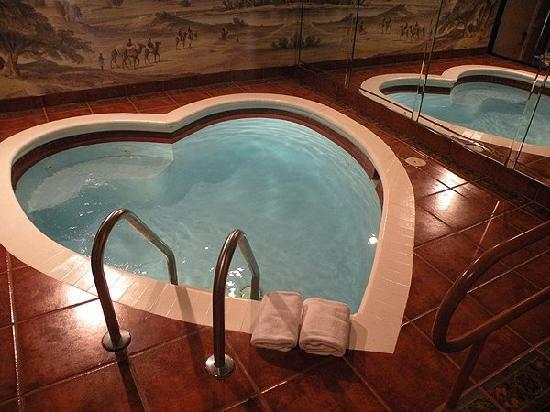 The cardiovascular swimming benefits are unparalleled. All that the body needs for its proper functioning is an unaffected blood flow, so this way swimming regularly can help you maintain your overall health. Vigorous aerobic activity in a dry setting triggers wheezing and shortness of breath, and this is medically termed ‘Exercise Induced Bronchoconstriction’. 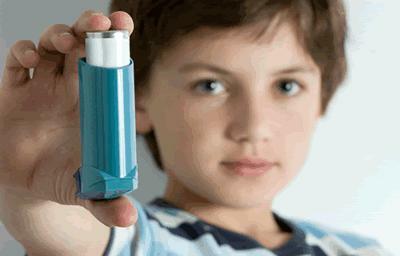 This is why people with respiratory problems or asthma find it hard to exercise regularly. Get relief from asthmatic symptoms with the health benefits of swimming. Swimming is a good alternative, as in this case, the aerobic activity is performed in a setting with moist air, unlike a gym. This majorly reduces the symptoms of Exercise Induced Brochoconstriction and helps in avoiding asthma attacks. The respiratory benefits of swimming include regulating the breathing cycle and increasing the lung volume. You don’t have to walk around with an inhaler anymore, just stitch up a weekly swimming plan. Need a break from work pressures, late nights, and maddening traffic? Then swimming is the right activity for you. Swimming is an aerobic exercise that helps the circulatory system function better, so this leads to better blood circulation to the brain. When it’s supplied with enough oxygen and blood, the brain starts a process called hippocampal neurogenesis, where cells from the hippocampus (the part of the brain responsible for memory) that have been lost due to stress are replaced with new cells. To top this, swimming also triggers the release of endorphins in the brain, which are chemicals that bring about feelings of contentment and euphoria. That’s equivalent to the rush that smoking a cigarette gives, but without the subsequent lung damage. Most benefits of swimming primarily arise from its effect on the circulatory system. When the cells in the body receive blood and oxygen regularly, they function better and efficiently remove toxins like carbon dioxide periodically. This helps in securing the body’s overall well being. A strong immune system is one of the major swimming health benefits. Swimming also has a positive effect on the lymphatic system, which is responsible for distributing healthy white blood cells throughout the body. When the lymphatic system functions perfectly, white blood cells are regularly distributed, resulting in increased immunity against all diseases and infections. A study conducted by the University of South Carolina has shown that swimmers have a lower mortality rate (49% lower) than people who pursue other fitness measures. So, Who Can Enjoy The Benefits Of Swimming? Swimming is an activity that can be pursued by anyone, regardless of age, gender, or physiological conditions. Even people who suffer from respiratory illnesses or musculoskeletal problems will find swimming easy, as this low-impact exercise doesn’t affect the body much. Once you learn the basics right, the benefits of swimming are yours for the taking! This entry was posted in Fitness and tagged health benefits of swimming, swimming benefits by Zipheal Editorial Staff. Bookmark the permalink.